Daily Bugle editor J. Jonah Jameson usually spends his time screaming for photos of Spider-Man, but today he has a new wall-crawling terror to worry about: The Spectacular Spider-Raccoon, a masked menace who is currently climbing his or her way up and down a UBS office building in St. Paul, Minnesota. Locals have started calling the little guy “MPRRaccoon,” since employees of Minnesota Public Radio managed to get the hashtag trending before something snappier (like, say, Spider-Raccoon) could catch on. Social media is also lighting up with people who are simultaneously inspired by the raccoon’s bravery, and utterly terrified by its apparent recklessness. 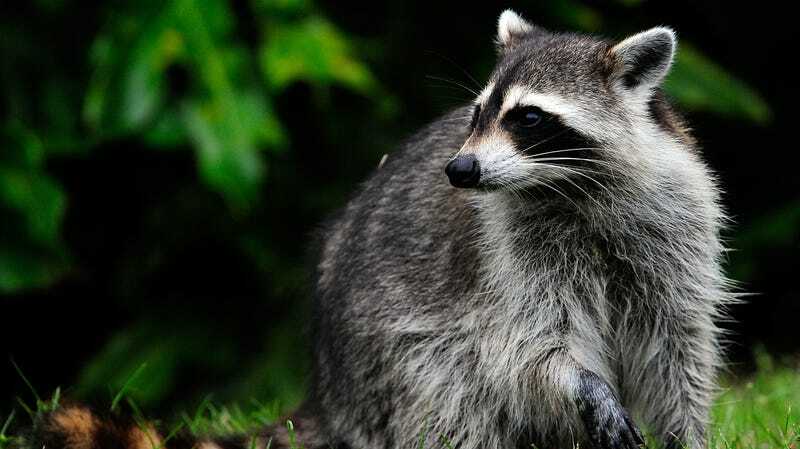 It’s sort of like Pizza Rat, except this raccoon is very good and its safety is very important to all of us. But before you start retweeting that video with some comment like “it me” or “hashtag tuesday feels,” just be aware that everyone has already beaten you to it. Our primary concern now is the raccoon’s safety, because this is all going to get incredibly sad if it, you know, doesn’t get down safely. Also, it’s hard to say where the raccoon currently is, as it sounds like it’s moving around a lot, but it’s been hanging around the 13th floor, the 22nd floor, and the 23rd floor. Meanwhile, the heartless St. Paul Fire Department has determined that this raccoon’s safety is not worth risking the lives of any humans, so they’re not going to cut open a window or get a really big ladder to rescue it. There’s apparently some cat food waiting for it on the roof if it decides to go all the way up there, but it’s probably not going to know that unless it checks Twitter. Has anyone in St. Paul tried tossing their phone up to the 22nd floor? As of this writing, the raccoon is still somewhere up very high on the side of the UBS building, and we’re assuming a lot of future donations to Minnesota Public Radio are depending on its continued safety.